Planets with a deep, global ocean should be very common. But their habitable zone is much narrower compared to Earth-like planets as Daniel Kitzmann, member of NCCR PlanetS, and his colleagues found in a study published in the Monthly Notices of the Royal Astronomical Society. PlanetS: In the movie „Interstellar” Matthew McConaughey and Anne Hathaway are landing on an exoplanet with a huge ocean. So these water worlds really do exist? How common are they? Dr. Daniel Kitzmann: The ocean on the planet Miller in „Interstellar“ does not seem to be very deep which might be inconsistent because at such a low ocean depth one might expect to see at least some continental landmass. In contrast to that, the ocean on the water worlds we studied in our publication can be several hundreds of kilometers deep, containing more than one hundred Earth oceans of water. In this case, the pressure at the ocean’s bottom is so large that water will exist in the form of exotic ice phases (ice VI and VII). This high-pressure ice layer separates the liquid ocean from the rocky crust of the planet. 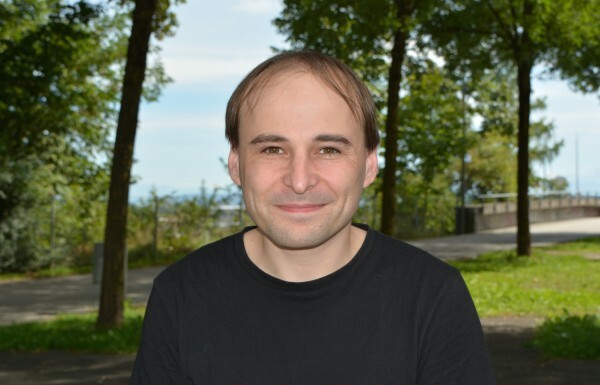 Theoretical studies on planet formation by the group of Yann Alibert in Bern show that water-rich planets near one astronomical unit distance away from a solar-like star should be very common. In contrast to Earth, those planets form beyond the water ice line in a protoplanetary disk where they accumulate water and carbon dioxide in form of ices. Later, those volatile-rich planets migrate inwards into the habitable zone where the water ice melts, resulting in a planet with a deep, global ocean. What does your paper say about the water worlds? The main results could be summarized as: „Too much water is bad for life“. In particular, we studied the CO2 cycle on an ocean planet under the assumption that the liquid water is separated from the planetary crust by a high-pressure ice layer. This prevents the exchange of CO2 between the ocean and the planetary mantle. We focused therefore on the CO2 cycle between the atmosphere and the ocean. Atmospheric CO2 can be partially dissolved in the oceanic water, which is described by the so-called Henry’s Law. This effect, however, depends on the temperature of the water. At low temperatures, the ocean can dissolve more CO2 than at higher temperatures, creating an unstable feedback cycle on the ocean planet. If the atmosphere and the surface becomes colder, the ocean will start to increasingly remove CO2 from the atmosphere. Since CO2 is a strong greenhouse gas, its removal from the atmosphere would lead to even lower temperatures. On the other hand, if the temperature should rise, less CO2 can be bound in the ocean and starts to accumulate in the atmosphere. This would result in an even further rise in surface temperatures. Thus, in contrast to the carbonate-silicon cycle on Earth, which acts as a long-term climate stabilization mechanism, the CO2 cycle on an ocean planet tends to destabilize it. This feedback cycle results in a much narrower Habitable Zone of an ocean planet compared to an Earth-like one. How did you get your results? We used theoretical, numerical models to determine the atmospheric CO2 content and the surface temperatures as a function of orbital distance. The chemistry model which describes the dissolution of CO2 in water and the additional chemical reactions of the dissolved CO2 in water have been developed at the Center for Space and Habitability (CSH) in Bern. 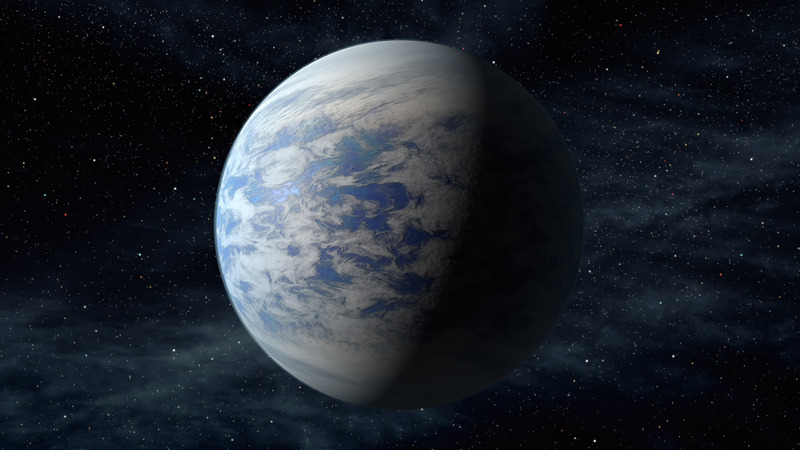 Initially, the project was supposed to study the observational signatures of water worlds. We didn’t anticipate that the CO2 dissolution would cause such a huge influence on the atmospheric composition. When we found this strong effect of the temperature-dependent CO2 cycle we extended the study to calculate the impact of this CO2 cycle on the surface temperatures and, thus, the potential habitability of ocean planets. To do that, the chemistry model was coupled to a one-dimensional climate model which has been developed by colleagues from the research group of Heike Rauer at the German Aerospace Center (DLR) in Berlin. We used this coupled chemistry-atmosphere model to self-consistently calculate the atmosphere and surface temperatures of ocean planets at different orbital distances from the central star and to study the influence of the CO2 cycle on the potential habitability. You are assessing the potential habitability of the surface of these planets. But couldn’t there be life deep in the ocean like on Earth? In principle, we didn’t rule out the possibility of life in the deep ocean. We made the assumption that the temperature of ocean water is equal to it’s surface temperature. Thus, any ocean planet in our publication which is habitable at the surface can also support life deep in the ocean. The temperature of the deep ocean can, of course, differ from the one on the surface. It can be higher or even smaller than the surface temperature, depending on the water transport within the ocean or heat release from the planetary interior. We did, however, not consider a subsurface ocean, where liquid water is present under a frozen surface – like on Jupiter’s moon Europa. Detecting life in such an environment cannot be done remotely and, thus, we would never be able to detect it in case of exoplanets. For the question of life on exoplanets we, therefore, mostly focus on cases where the biosphere is able to interact with the atmosphere because this is one of the few properties we can measure of an exoplanet. Does your study have any connection to global warming on Earth? The dissolution of CO2 in water also occurs on the Earth. In fact, the Earth ocean contains about one order of magnitude more CO2 than the atmosphere. Most of the CO2 we release into the atmosphere by burning fossil fuel will be dissolved in the ocean water over time. Roughly 80% of the first trillion tons of carbon released by humanity will finally work its way into the ocean. Without this dissolution of CO2, the temperature increase due to the global warming would be much stronger. On the other hand, the dissolution of carbon will considerably lower the oceanic pH value, i.e. with more and more carbon added to the ocean, the water will become increasingly acidic. This will have a profound negative impact on the ocean’s biosphere. The difference between the ocean planets we studied in our publication and the Earth – in addition to the very different ocean sizes – is the fact, that the liquid ocean on the water world is not in direct contact with the rocky planetary mantle. On Earth, the dissolved CO2 can be converted into carbonates which, via subduction due to plate tectonics, can be buried in the rocky mantle. This will additionally remove CO2 from the ocean/atmosphere system and will stabilize the Earth’s climate over a long period of time. On an ocean planet where the planetary crust and the liquid ocean are separated by high-pressure water ice, CO2 is likely unable to be removed from the ocean and the atmosphere in that way. What is the next step in your work? In our study, we only focused on an ocean planet with the radius and mass of Earth, orbiting the Sun. The next step will be to study ocean planets around other types of central stars. Particularly important are M-type dwarfs as they are by far the most common type of star in the Milky Way.